Many Nigerian because of the economic situation are not able to purchase the monthly suscriptions impounded by many satellite service providers but based on information gotten,Free View Africa is here to change the norm. If the information provided online by them is valid, launching will be around the 1st quarter of 2018. Subscribers can enjoy over 40 channels without monthly Subscription with popular movies, sports, dramas, children and educational programmes. 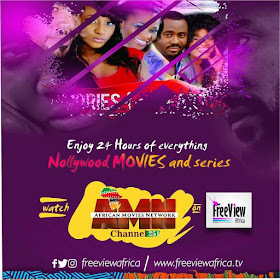 Free View Africa is a no subscription cable tv provider. To register as an accredited FVA dealer visit the website - Dealer Registration and Accreditation is still on-going. The list will be released soon. Retails outlets in locations such as Lagos, Port Harcourt, Abuja, Ibadan etc will be announced shortly before the launch. FreeView Africa is not free to air, even though it is free to view. You MUST purchase their decoder to receive our channels. The above are indicative prices. Actual pices will be communicated nearer to the launch date also prices are subject to change without notice based on Market forces.